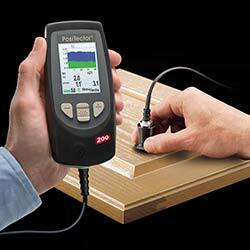 The coating thickness gauge is designed to determine the coating thickness of non-metal substrates such as wood, plastic, concrete and other bases. 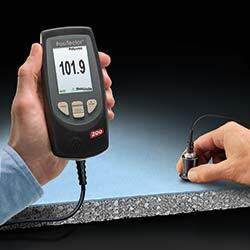 This coating thickness gauge PT-200 operates without damaging the material. It measures all types of coatings on wood and building materials such as concrete, bricks and plaster as well as plastics by using ultrasonics. In addition to the thickness of coating layers, the coating thickness gauge PT-200 can determine layers of epoxy resin, strong gel on GFK and other carbon fiber materials or bonding material. This coating thickness gauge is a device for professionals in the specialized sector and in the industry sector as well as in research and development. Apart from the measuring function, this coating thickness gauge PT-200 has an internal memory that can store up to 100.000 values of layer thickness (depending on the model). With the USB and Bluetooth interface (depending on the model) and the software, computer data can be transmitted to a PC for further data analysis. The measuring values can be sent to other software such as MS Excel. If you have any questions concerning the thickness gauge PT-200, see the following technical data or contact us: UK customers +44(0) 23 809 870 30 / US customers +1-410-387-7703. Our engineers and technicians will help you with the coating thickness gauge or on any other product in the field of regulation and control, measuring instruments and scales. 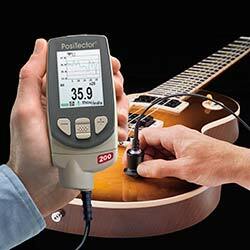 The coating thickness gauge PT-200 during a measurement on a guitar. 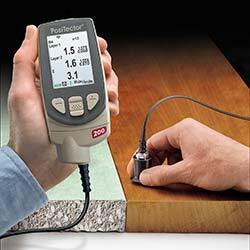 With the coating thickness gauge it is possible to do measurements on different materials. 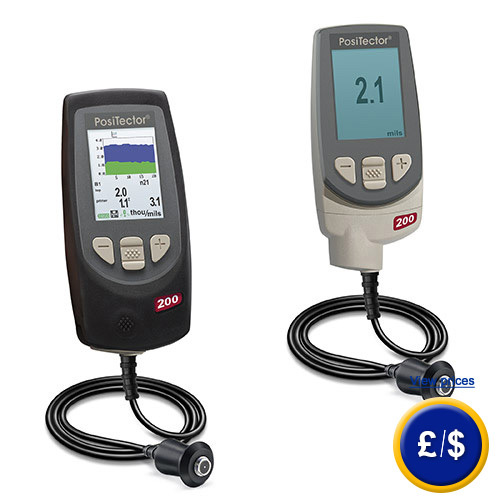 The coating thickness gauge is available in two different versions. In this picture you see the advanced one and above the basic one is shown. With the advanced version of the coating thickness gauge PT-200 you have the opportunity to measure and save up to 100.000 values. 1 x PT 200 coating thickness gauge with an external sensor, 1 x calibration standard, 1 x nylon carrying case, 1 x rubber holster with belt clip, 1 x coupling gel, 3 x AAA 1.5 batteries, user manual. Coupling gel tube is included in the delivery. If you plan to make a series of measurements we recommend to ask for more gel. We always recommend to use the coupling gel (to create a contact between the head and the part that has to be measured and to protect the surface sensor). For companies that wish to incorporate the gauge to the ISO tools for the internal control of the company or annual recalibration that guarantees high-precision measurements.